Depression is becoming a common word in everyday language with people saying they feel depressed, when actually they just feel a bit low or are having a so-called ‘bad hair day’! 1 in 6 people will have depression at some point in their lifetime. There are two types of depression: clinical depression and reactive depression. Clinical depression is thought to be caused by a chemical imbalance and as with any illness, can happen to anyone at any time. Reactive depression is caused by environmental factors, stressful events that happen in life, e.g. bereavement, stress, relationship breakdowns, etc. If you think you are suffering from depression, you should seek advice from your GP. Your GP will probably ask a number of questions, or may give you a questionnaire to fill in, to determine the severity of your symptoms and the likeliness of depression. With a diagnosis of depression, there are a number of treatment options available. These fit into two main categories: medication or psychological/talking therapies. There are a number of different types of medications that may be of benefit to someone with depression. Anti-depressants come in various different types and may help you a lot or not at all, as everyone is different. 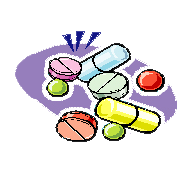 It can be difficult and it may take a while to find the right medication and dosage to suit you as an individual. If medication is offered, your GP will discuss this with you. There are also a wide range of psychological therapies which can benefit depression sufferers. Your GP can refer you for counselling, often within the GP surgery itself, or may refer you to the local mental health team for therapies such as Cognitive Behavioural Therapy (CBT) or group therapy. Wirral Pathfinders can also offer a ten week course of computerised Cognitive Behavioural Therapy called ‘Beating the Blues’ which may help you. If you are interested in this, please contact us. A number of other things can help you to cope with your depression, including exercise, spending recreational time with friends or family or attending support groups like Wirral Pathfinders.